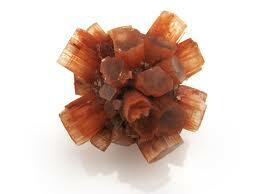 Aragonite Clusters for 7-24 thru 7-27-12 – GemPowerment. Reveal your light. Greetings, Beloved GemPeople! When I checked in with GPSC for the priority stone for the next few days and got brown Aragonite, I thought this was just because of the recent and current (see spaceweather.com) solar activity and resulting geo-magnetic disturbances, as Aragonite is quite good at grounding and clearing this out of the physical and subtle bodies. While this crystal can assist with symptoms from solar events, etc., I am being guided to look at the astrological configurations over the next few days as Aragonite’s considerable metaphysical properties will be quite helpful. First off, practically all planets are in retrograde during the next few days: Mercury through 8/7/12, Venus through 7/31/12, Saturn through 10/1/12, Uranus through 12/13/12, Neptune through 11/11/12, and Pluto through 9/18/12. There is a quincunx of the Sun with Neptune going on tomorrow as well. While I am no expert on astrology, it is easy to see how this can be a time of intense challenge, or growth if we choose that, and we may feel as we might implode on ourselves with the cosmos swirling around us. Aragonite is excellent for times of stress – especially emotional and geopathic – and can lend strength on an energetic as well as physical levels. It is known as a stone of the Earth-goddess and is very grounding. I am being told that keeping one of these in your pocket…one in each pocket would be best…is the way to go if you feel like you’ve lost your beacon on reality over the next few days. Aragonite can assist you in re-centering, dealing with the stress on multiple levels with patience and balance, and get you back to functioning so you will be ready for what’s next.